Midori is the Japanese word for green. The melon liqueur was launched by Suntory in the late 70s. This cocktail was one of the first to appear using Midori. While Midori is becoming less popular in the U.S. with all the natural ingredients getting attention at bars, a bright green drink is still popular in Japan where you might say people drink more with their eyes. An attractive color in Japanese society is very important. And just look at how that cocktail glows! 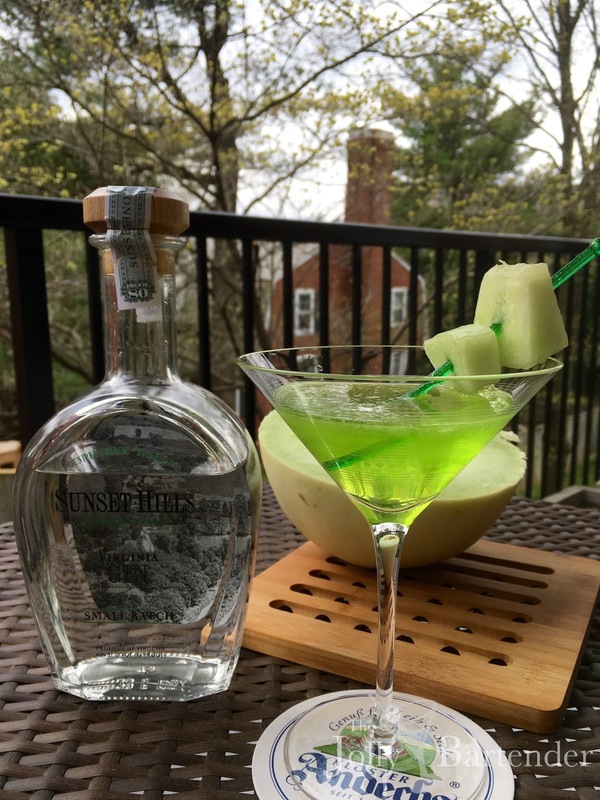 Sunset Hills gin has a great citrus balance to it, which does much to keep this cocktail tasting more natural, as does fresh honeydew melon. Combine liquid ingredients in a shaker with ice. Shake and strain into a chilled cocktial glass. Garnish with melon pieces.